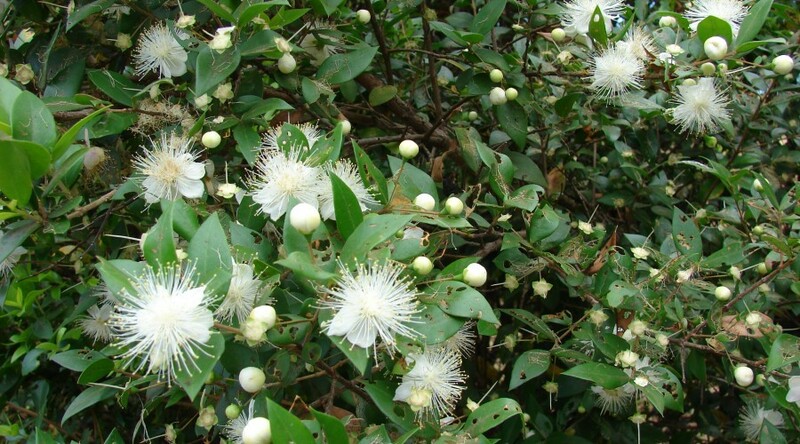 Common Myrtle. An evergreen shrub with glossy dark green leaves and pretty, fragrant, white flowers with conspicuous white stamens, followed by purple-black berries. Height 3m. Spread 3m. Flower colour White. Flowers from July to August. Fruit colour Purple, Black. Fruits from August Evergreen. Foliage colour Green. Frost hardy.